achieved a major success in mounƟng a                   area. 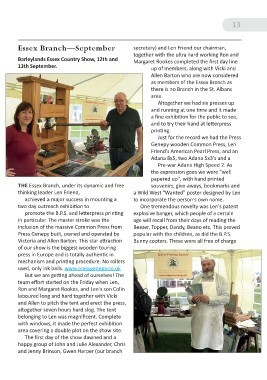 Press Genepy built, owned and operated by                  prinƟng. altogether seven hours hard slog. The tent        to incorporate the person's own name. The ﬁrst day of the show dawned and a          popular with the children, as did the B.P.S.